Shooting for HBO’s ‘Game of Thrones’ - an adaptation of George R.R. Martin’s fantasy-adventure book series - has begun in Northern Ireland and will continue on various locations for approximately four weeks. With cameras rolling on 26 October, the TV pilot is directed by Tom McCarthy with Sean Bobbitt (Hunger, The Baker) as director of photography. David Benioff and D.B. Weiss (who also wrote the screenplay) are executive producers while Generator Entertainment’s Mark Huffam is producer alongside Frank Doelger. 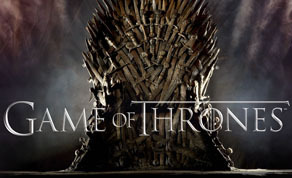 ‘A Game of Thrones’ stars Sean Bean, Nikolaj Coster-Waldau, Lena Headey, Mark Addy, Kit Harrington, Jennifer Ehle, Jack Gleeson, Peter Dinklage and Harry Lloyd.